Spirulina Value Pack 900 tablets Chlorophyll rich Green food - Spirulina is a single cell plant from the blue-green algae species. It is rich in vitamins, minerals, proteins, anti oxidants & chlorophyll. 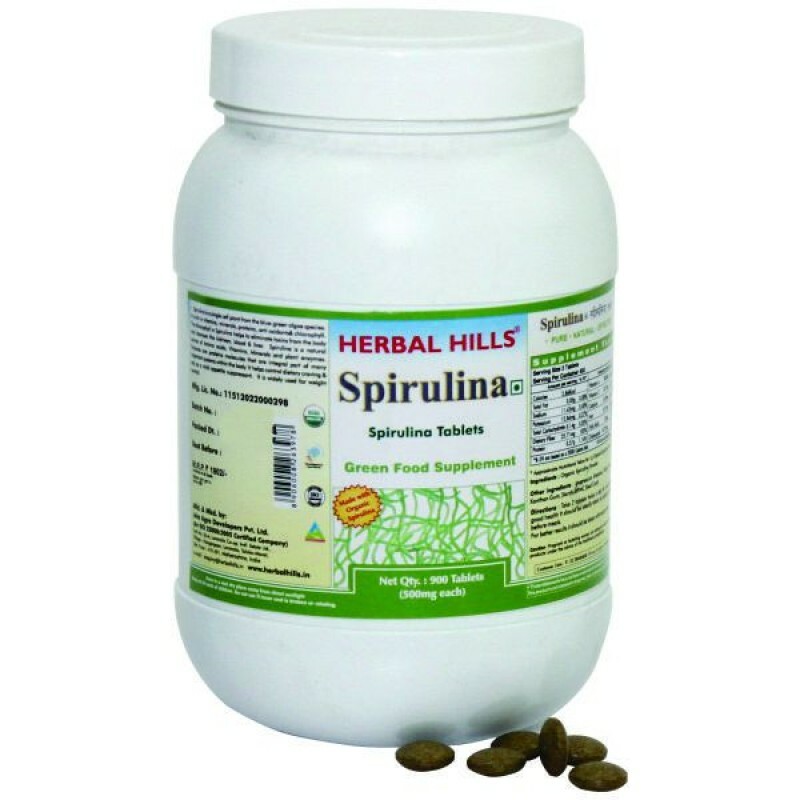 - Spirulina is extensively used worldwide as a Nutraceutical food supplement. - Spirulina a rich source of Chlorophyll, Beta Carotene, Amino acids, Proteins that help in promoting energy, strength & boost Immunity. - Spirulina is an excellent Rejuvenator and helps in improving vitality - Antioxidant property helps to fight against free radicals, damaging vital organsBenefits : - Helps to Rejuvenate, Energize and Revitalize body and its functions - Helps to boost Immunity and fight against diseases - Antioxidant property helps to protect vital organs in long standing diseases.